A recent story on Reuters confirms the Martin Luther King Jr. dispute is over. The dispute was among his three children. The three siblings are directors of a corporation that manages the estate. Martin Luther King III and Dexter King voted in 2014 to sell the Nobel Peace Prize medal and his Bible. Bernice King was opposed to the sale. Her view was that these items were sacred to their father and that they should not be sold to private parties. The dispute lasted several years. The items were placed in a safety deposit box pending the resolution of the matter. Justice Robert McBurney adjourned the matter several times and gave the parties many opportunities to settle. Former President of the United States, Jimmy Carter, acted as mediator in the dispute. It seemed like the matter was heading to trial. This risked a lot of media scrutiny and possible embarrassment to the family. A lengthy Court battle could have tarnished the legacy of the great civil rights activist. The parties settled the matter privately. Dialogue took place throughout the litigation process. The parties thanked former President Jimmy Carter for his involvement and did not disclose any details related to the settlement. The private agreement allowed the parties to keep the matter confidential. The resolution of the dispute is a good example of why it is usually more advantageous to settle out of Court. Although the parties may believe they have a strong case, going to trial always involves risk. There is lot of uncertainty in litigation. One can never predict how a Judge may rule on a matter. When a dispute settles through mediation the parties control the process. They are able to negotiate and reach an agreement with certainty and without public scrutiny of personal information. There are no surprises as everyone knows what they are getting. 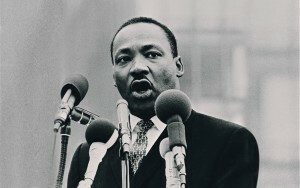 Fortunately, mediation worked in the Martin Luther King Jr. dispute.